Following on from a hugely successful 2018 event we are pleased to invite you on a unique driving adventure travelling through unique landscapes, lush rainforest, wide open farmland, rugged coastlines and amazing mountain passes. These supurb winding roads are surely destined to become some of Australia's if not the world's most iconic rally stages. All that’s needed to join in is a performance road car and two people (driver & co-driver) with a passion for driving and keen sense of adventure. It is not a race and the tour adhe res to the sign posted speed limits, however on the twisty mountain roads there is still plenty of opportunity to enjoy your car in a very “spirited” manner - the way they were designed. 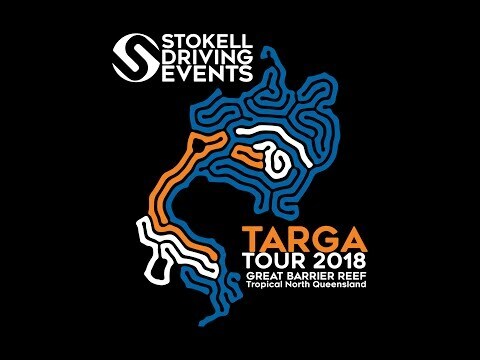 The Targa Tour follows the same course as competition vehicles, on closed roads using both sides of the road, ensuring you feel every twist and turn of the event. take on round 3 of the Australian Tarmac Rally Championship. These events combine the love of driving with social connection and comradery, guarantee an unforgettable and memorable experience. We have assembled a full information kit detailing times, requirements, inclusions, transport options and costs which can be downloaded HERE. Here's a snippet from last years event! This is a first come first served event which we are offering primarily to fellow QLD Driving Events customers before extending the invitation nationally. We are limited to a max number of 12 cars and as keen interest has already been extensively expressed we recommend acting quickly to secure a place. Very few places are left and organisers have already closed off private entries due to an oversubscription. To secure your spot we require your initial deposit with the balance being settled in full by the 1st August 2019. For further information call Paul on 0419 549122 to discuss your requirements.